Natto is fermented whole soybeans and they have the many health benefits of foods containing probiotics. Many people find the texture of natto to be stringy and gooey, and the smell can be off-putting to some, but the taste is actually quite mild and pleasant. 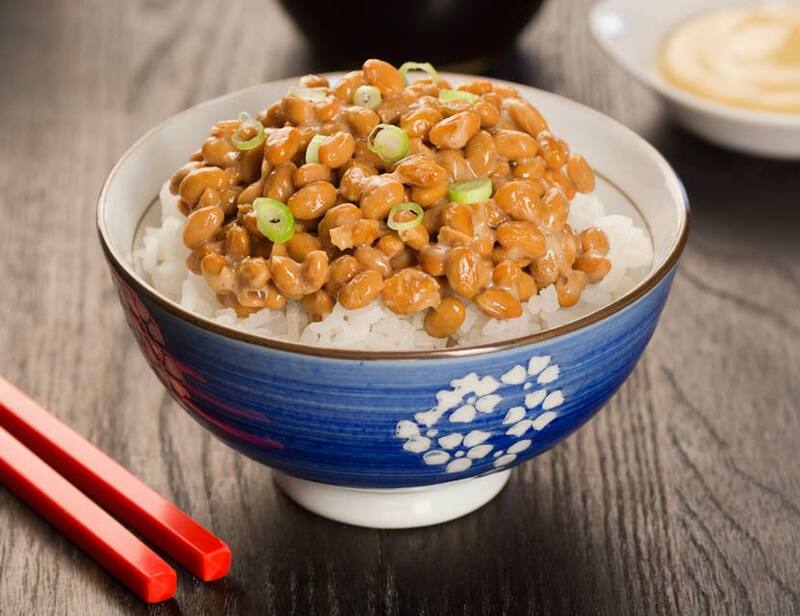 If you'd like to give natto a try, this recipe is a great way to start because its mild flavors and the mixture of textures can be a gentler introduction to this healthy dish. Add sesame oil to a heavy-bottomed pan that has been warmed a bit on medium heat. Once oil is warm, add fresh ginger and stir-fry for 3-4 minutes. Add pork, green pepper, and onion, and cook until pork is browned through. Add natto and soy sauce and bring to a simmer. Simmer gently for 5-10 minutes. Serve over warm rice, garnish with green onions as desired.